Dr. Gupta’s WEED documentary enlightened many viewers on how effective cannabis can be for treating conditions such as young Charlotte Figi’s Dravet Syndrome. Unfortunately, Dr. Gupta disappointed in many areas by failing to investigate important issues at the heart of the medicinal cannabis discussion and by perpetuating false details on cannabis to those who have grown to trust his expertise. Published in full on HerbalEGram. Editor’s Note: We were keenly interested in Dr. Sanjay Gupta’s one-hour CNN special called WEED that aired in August. We asked Lindsay Stafford Mader, who covers medicinal cannabis and related issues at the American Botanical Council, to view the documentary, compose a report on its contents, and to offer a response, if warranted, regarding the factual accuracy of CNN’s information as well as to what extent the coverage was adequate. We present her critique below. Having researched and written about medicinal cannabis (Cannabis sativa) for more than four years for the American Botanical Council and its journal HerbalGram, I watched CNN’s recent TV documentary WEED with a heavy dose of skepticism. 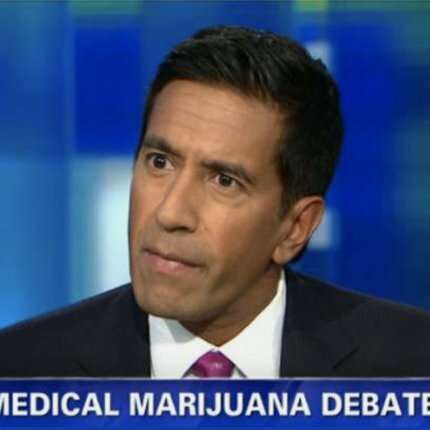 While I am well aware of the plant’s promising medicinal properties, I did not fully expect Sanjay Gupta, MD, to “get it right.” Others in the medicinal cannabis community understandably expected much from WEED, considering the media hype leading up to its premier, which was stimulated by Dr. Gupta’s preceding and much-publicized editorial stating that he had reversed his position to be in favor of medicinal cannabis. Dr. Gupta’s WEED documentary gave an interesting and often touching overview of the situation and left many viewers enlightened on how effective cannabis can be for treating conditions such as young Charlotte Figi’s Dravet Syndrome. Other sources and I agree that WEED, which admirably attempted to cover significant ground, was better than most everything else the mainstream media has produced on cannabis. Unfortunately, Dr. Gupta disappointed in many areas by failing to investigate important issues at the heart of the medicinal cannabis discussion and quietly perpetuating false details on cannabis to the Americans who have grown to trust his expertise.